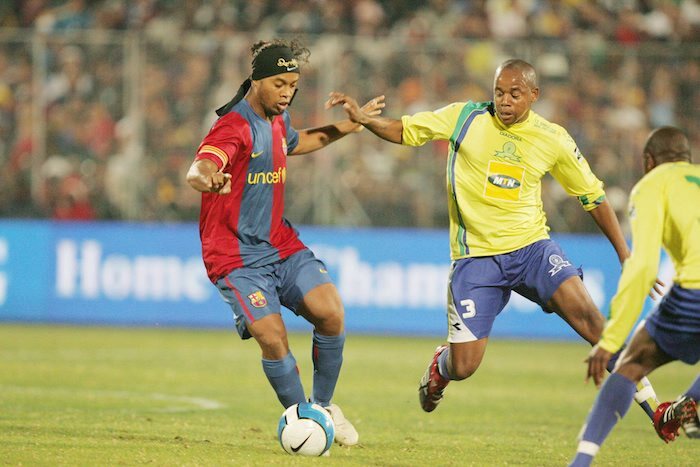 Mamelodi Sundowns president Patrice Motsepe has approved extra spending on security ahead of their match against La Liga Champions Barcelona. The Brazilians will face the Spanish giants at the FNB Stadium on Wednesday 16 May, with kickoff scheduled for 6.15pm. With tickets flying and the game taking place on a workday, fears were naturally raised over how the congestion would be dealt with. Downs president Motsepe responded at a press conference urging fans to arrive early and asked businesses to allow employees with tickets to leave at 3pm. The question was then referred to Sundowns CEO Sizwe Nzimande who said channeling of supporters into the stadium will be given a high priority. With the memory of the stampede, which claimed the life of two fans, at last year’s Carling Black Label Cup match between Orlando Pirates and Kaizer Chiefs still fresh in the mind, Mzimande revealed that Motsepe had approved extra spending for additional security to ensure that the event will run with no incidents off the pitch. ‘Fortunately, we are working at a stadium that has got a lot of experience with major events. FNB Stadium has got the design capability and the capacity and the competence to handle this type of event‚’ said the Downs CEO. ‘But we have been involved in a series of ESPC (event safety planning committee) meetings – about three already. 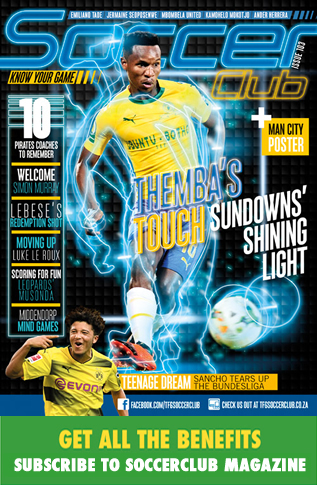 ‘What we’ve looked at primarily is the [Soweto] derby‚ and other events that they’ve had‚ and we’ve analysed and looked at the shortcomings of those events to see how we improve. ‘What has also been done is that‚ with the blessing of Mr Motsepe and Dr Precious Moloi-Motsepe [Motsepe’s wife and the head of the Motsepe Family Foundation]‚ we have invested a bit more to ensure that there is a higher level of safety‚ so that the security component is a bit better. ‘And we are starting the security component far out in terms of the searches‚ the guiding and the funneling. ‘We are having more security than normal to ensure that we are able to manage people and reduce bottlenecks. ‘It won’t just be a normal funneling‚ with one or two security or ushers standing there. We are going to have fencing and loud hailers so that people are directed and split among the different gates. Nzimande also revealed that a train would run from Bosman Street Station in Pretoria‚ via Tembisa‚ to Nasrec‚ with the intention of reducing individual car transport.